We are providing a voice to those who have been ignored by our media and silenced by special interests. Joining us are four very brave Americans whose government failed them. Their names are Jamiel Shaw, Susan Oliver, Jenna Oliver, and Jessica Davis. Jamiel’s 17-year-old son was viciously murdered by an illegal immigrant gang member, who had just been released from prison. The people cheering the loudest for Attorney General Jeff Sessions are Klansmen and Nazis. 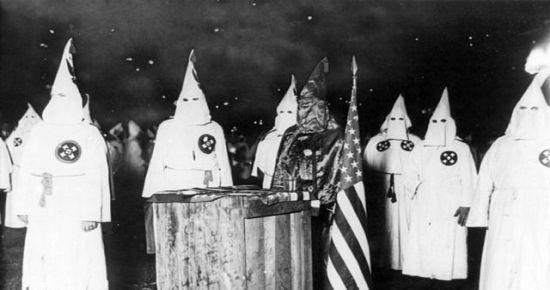 Actual no-kidding members of the KKK and actual Hitler-loving Nazis. Don’t take my word for it, that’s what Senate Majority Leader Mitch McConnell had to say. Someday the Republican Party will try to claim Trump was an aberration, that we can’t blame the Republican Party for the worst crimes of Trump. It will be a lie. They are in lockstep with Trump on every issue that matters. Our new web site is up. This is our shiny new web page and blog. It will be getting a lot more interesting as time goes on. This is a place to find official announcements, the date of the next meeting or social gathering, and discuss issues as they come up. We also have a presence on Facebook if you like Facebook. I plan to post lots of links to information you can use to be a full participant in the Democratic Party, and an activist. If your crazy uncle forwards one of those emails to you, I hope you can come here for information that will debunk it. Author Don DoumakesPosted on 2017-03-04 Leave a comment on Our new web site is up.